First off, I am so happy and proud to get the chance to guest post for Nickki AKA Coco. First let me introduce myself really quick, my name is Mihaela (Miha for short), I am 30 years old, live in Copenhagen, Denmark and have my own Style and Lifestyle blog over at MihaBalan.com. I live in Scandinavia, first in Sweden for a few years and then I moved to Denmark five years ago when I met my now fiance. 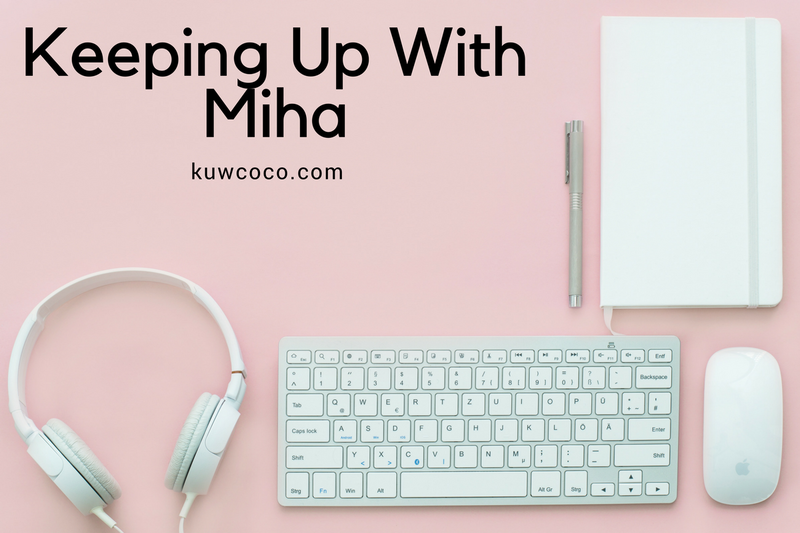 Since the blog is about “keeping up with coco” I thought my guest post should be “keeping up with Miha”, describing a day in my life as a blogger, in Copenhagen. Blogging for me is a full time job where I write most of the times, research, take pictures and promote. Work wise, most of my days are quite similar without too much variation but some days can also be really hectic with no time to even write, like this weekend for example. I was honored to get invited to London Fashion Week and spend a fantastic weekend in London getting a look at the newest trends. 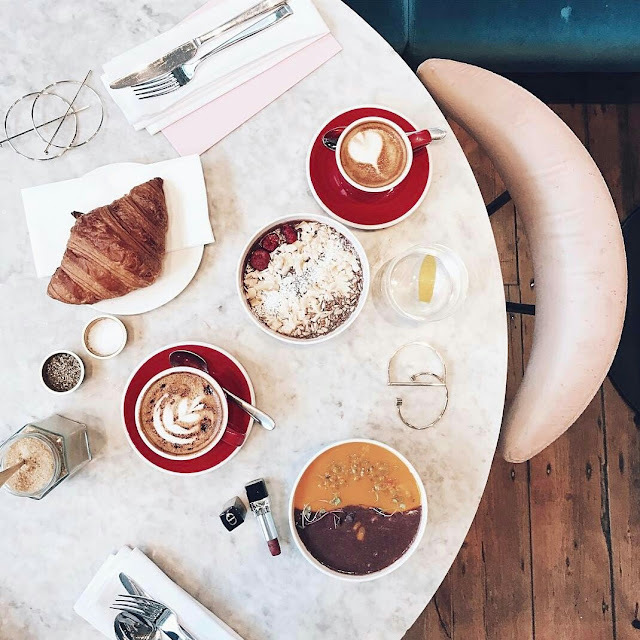 A more normal day for me would start with having coffee that easily transforms into brunch with one of my friends, in our favourite spot. I don’t have so many blogger friends, at least not in Copenhagen so when I meet my friend she always gives me a good positive vibe that keeps me inspired to write and drives me to keep going no matter what. As you may know Denmark is known worldwide for the famous biking culture, so like everyone else most of my transportation is on my poor little bike. I am serious, my bike is almost 10 years old and cost me very little, but that is the fashion here the older bike the better and it also keeps them from getting stolen. What you don’t usually hear about is the winds that always seems to be around Copenhagen which can makes it extremely hard to bike and blows your clothes away while biking, but I guess that’s part of the fun in it after all. Usually, after meeting my friend I head back home to start writing my articles. I try to keep a regular schedule of 3 times per week, so my readers can expect some consistency but also for me to make sure that I take this seriously. Some posts can take 1 hour some can take 6 hours it’s all about writing about something you are passionate about. If I don’t write then I am outside meeting with my student photographer to take outfit pictures. Although I really like putting outfits together, this weather has been my worst enemy. Part of a good photo is finding some nice surroundings that fit with the outfit and that can be hard in freezing winds. As a blogger I have a certain hour where I usually post that works for me and after that another hour that I use to promote the post. I try to keep myself on a 9-5 schedule just like in a full time office job, so that I can enjoy free time after 5 when my fiance gets home. Taking a walk outside in the fresh air is a mandatory thing that me and my boyfriend aim to do everyday. We usually talk about how our day has been, make plans and try to get some fresh air for a good night sleep. I took a little video yesterday with the view from our building and yes it is as cold as it looks. Besides the biking culture another thing that Danes are known for is hygge. Have you heard that word before? If you are not familiar with hygge, I found a definition for the term as “quality of cosiness and comfortable conviviality that engenders a feeling of contentment or well - being”. Before moving here I had never heard about this term but I got so used to it, it’s an every evening thing that helps us connect as a couple. People here spend ‘’hygge’’ in many different ways and because there are so many different cultures in Copenhagen, the term can have different meaning for everyone else. The best time for hygge would be in the winter because it involves your couch, candles, some big warm socks, a hot beverage or in my case wine and if you are lucky enough to have a fireplace then it’s just magical. In my case, hygge means cooking a nice meal, candles, wine and then watching a show or playing a board game together. This is pretty much how I usually spend my day and I hope you enjoyed reading about it and I am looking forward to read any comments on how you usually spend yours.